Freshly-collected specimen from Sarawak state, Malaysia, Borneo. Habitat in the Gunung (mountain) Undan area, Sarawak. Two specimens pictured in their natural habitat close to Jambusan, Sarawak. A closer look at the habitat with growths of Cryptocoryne striolata. 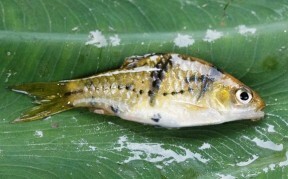 Specimen collected close to Saratok, Beting Division, Sarawak. 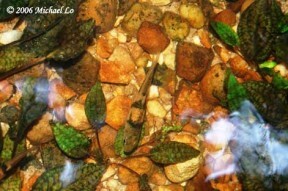 This species can also be found in the Sungai Rayu river in Kuching district, Sarawak. Specimen from the Batang Kayan drainage in Sarawak state, Malaysia (Borneo). 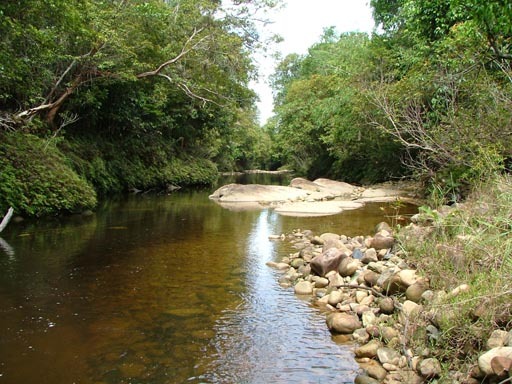 kuchingensis: named for Kuching division, Sarawak state, Malaysia (Borneo), from where the type series was collected. Described from ’18 miles east of Kuching, Sarawak state, Borneo, East Malaysia’ and apparently endemic to western Borneo with a range extending into the Indonesian province of West Kalimantan (Kalimantan Barat) where it’s known from the Kapuas River system, including the lake system of Danau Sentarum. Predominantly found in shallow forest streams containing clear water, sometimes in the pools that form at the base of waterfalls. Typical sympatric species include Rasbora sarawakensis, Barbodes banksi, B. sealei, Hemirhamphodon pogonognathus, Betta taeniata, and Nemacheilus saravacensis. Base dimensions of at least 120 ∗ 45 cm or equivalent are required. 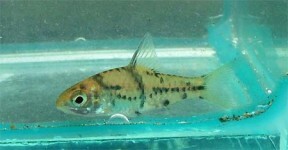 This species makes an ideal addition to a peaceful community of riverine fishes including other similarly-sized, peaceful cyprinids plus botiid, nemacheilid, or robust balitorid loaches. As usual, thorough research is the best way to avoid problems when selecting compatible fish communities. It’s gregarious by nature so ideally 8-10 specimens should be purchased. Maintaining it in decent numbers will not only make the fish less skittish but result in a more effective, natural looking display. In addition, any aggressive behaviour will normally be contained as the fish concentrate on maintaining their hierarchical position within the group. This species is rarely-exported for the aquarium hobby but is available on occasion. The name B. kuchingensis is frequently misapplied, however, with subadult forms of B. everetti and some populations of the geographically-variable B. lateristriga regularly traded as such. 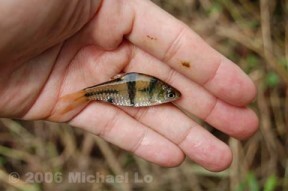 The latter was described from Java and may represent a complex containing several as yet unnamed species. Though closely-affiliated with and superficially very similar to B. lateristriga, B. kuchingensis sensu stricto can be told apart by presence of a prominent row of dark spots along the lateral line, plus a short, horizontally-orientated streak extending from the upper part of the operculum as seen in the images here. 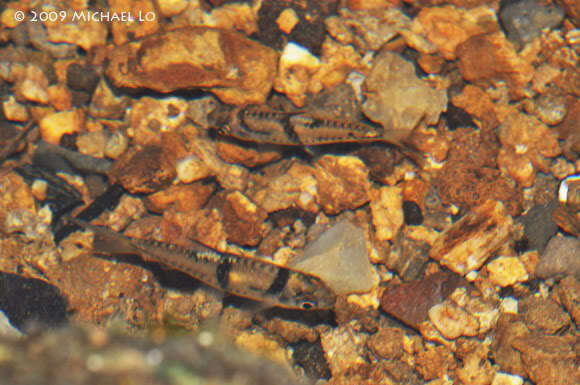 New species of fishes from the Malay Peninsula and Borneo.